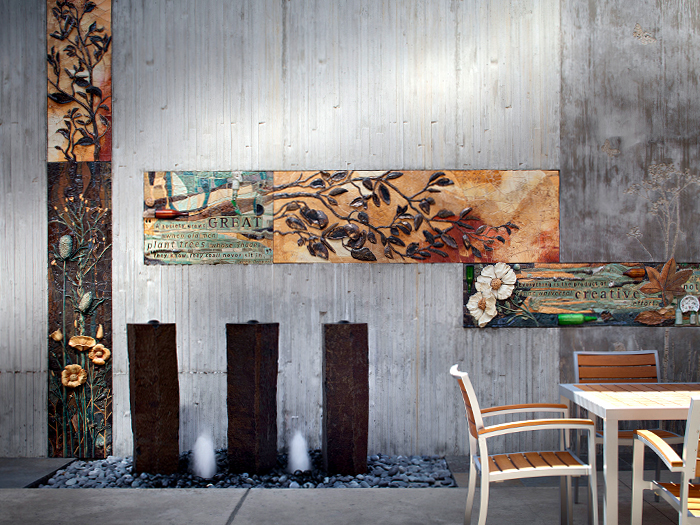 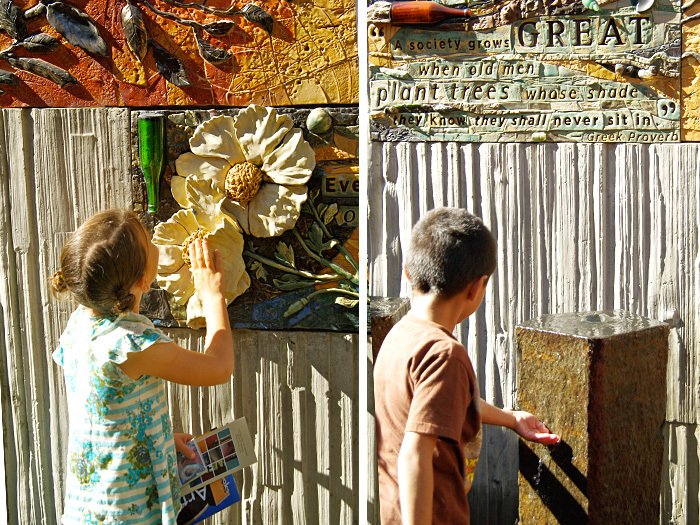 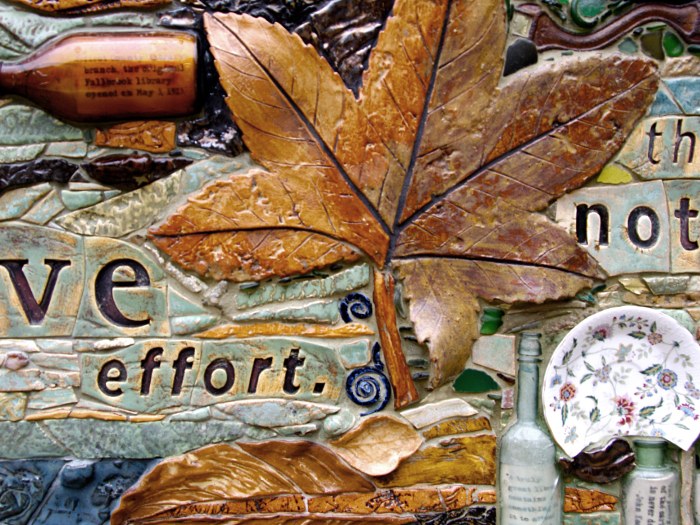 The theme of Betsy Schulz’s mural — nature, sustainability, and reuse — was inspired by the design of the building and Fallbrook’s natural surroundings. 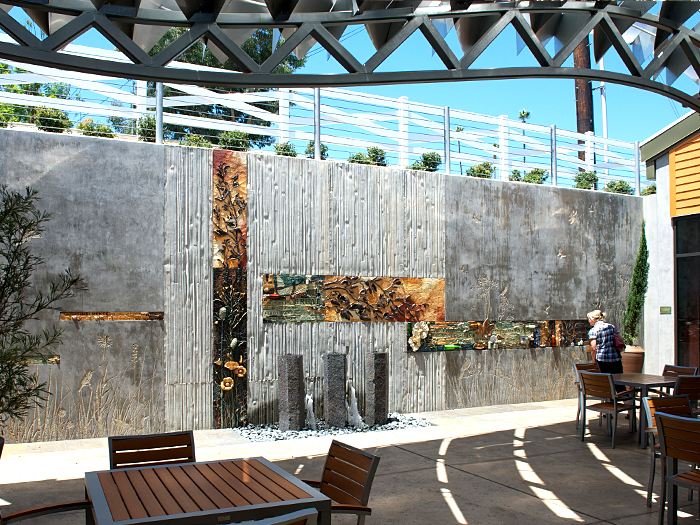 Silhouettes of grasses, native plants, birds and butterflies were sandblasted into the surface of the poured-in-place concrete retaining wall. 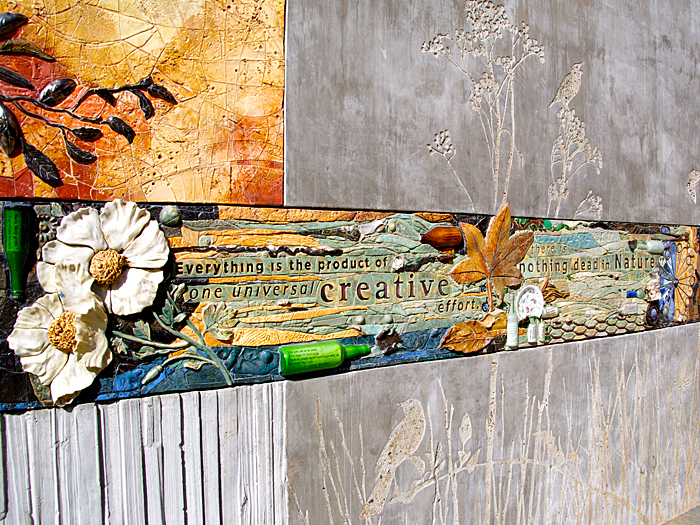 Six mural sections are set into the wall, each with a quotation from literature, and the imagery of the mural is influenced by these texts. 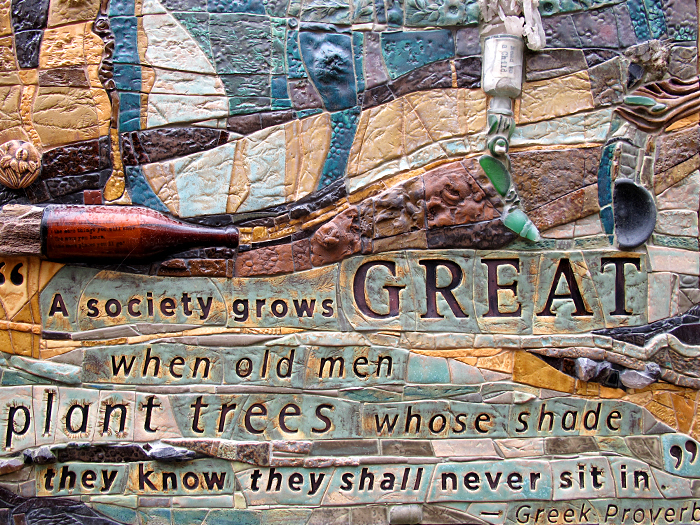 In the mural the layers of earth that have accumulated under the trees of today represent different eras of history. 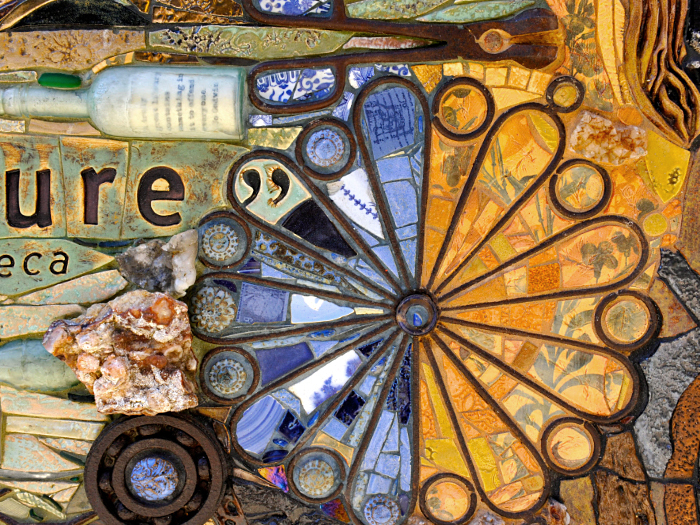 Handmade tiles, metal objects, stones, fossil impressions, and items found in the building excavation or donated from the community are incorporated into the design.